One of the most obvious problems facing incoming freshmen who are planning on living on campus is the struggle of nutrition and of learning to control their own eating habits. Most schools attempt to thwart this conundrum by offering various meal plans that allow students to purchase meals at the various dining halls located on campus. As time has progressed, most student bodies on campuses across the country have led initiatives to force their schools to offer healthy options for students. The problem is that along with the promising nutrients of all the healthy options, students seem to have little to no control over their own consumption. 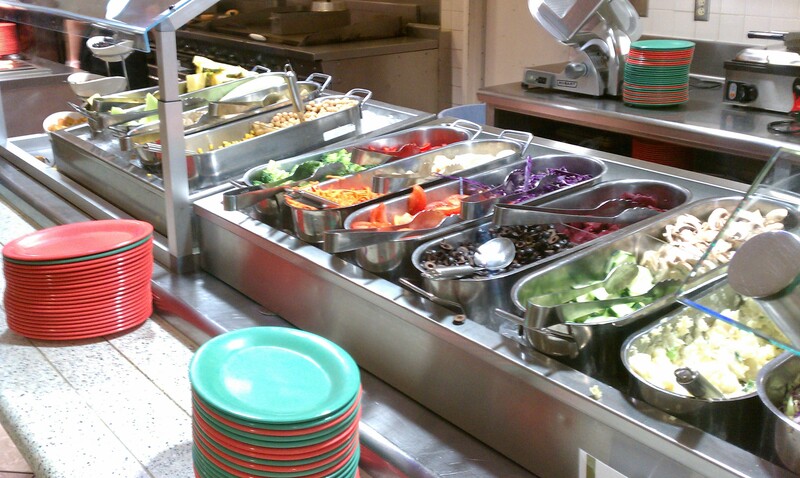 From my own experiences in the dining hall, I would often see students bypass the leaner options and head straight towards the pizza and burger station. My freshman peers would walk to their tables with multiple plates of food, washing their greasy meals down with endless cups of the various sodas that flowed freely. Even if they were full halfway through the meal, they would most often continue eating the food they had gotten in an effort to not waste anything. After months of doing this they easily put on quite a few extra pounds. So, what is the easiest way to fix this? I need to preface this by saying that I am in no way a dietitian or nutritionist, but simply a student who successfully made it through the first years of college in a relatively healthy state. The main way to combat this overconsumption is to simply only grab a single plate of food at a time. This forces you to have to continually choose whether or not you want to eat more, rather than simply having all of the food in front of you. Most dining halls that I have visited are wholly fine with students going back and forth between tables and the food areas, so no additional charges are levied. Getting into the habit of forcing yourself to a single plate can easily help keep off the excess weight. Students who live on campus are offered meal plans of various sizes, and most of my fellow students made the expensive mistake of purchasing the largest meal plan. It is easy to have the mindset of “Of course I’ll need to be able to eat at the dining hall three times a day!” More often than not, you’ll skip a meal each day because of classes, outings, or just pure apathy. Unless you are absolutely certain that you’ll need to eat in the dining hall for all three meals each day, go for a smaller and ultimately cheaper plan. Almost everyone I knew at the end of each school quarter had extra meal points remaining, which was a complete waste of money. Living away from home for the first time can be an amazing experience, but it is easy to ruin your body and time by eating terribly in the campus dining halls. Avoid the pitfalls of overpaying and always remember to stick to a single plate.